Arizona’s utility regulator just confirmed for solar energy policy what cartographers have long known: Arizona is not Nevada. When faced with the utility UniSource Energy Services’ request to raise rates for all customers, impose demand charges on rooftop solar customers, and reduce the compensation for their surplus energy under the net metering policy, the Arizona Corporation Commission said no. More specifically, the commissioners approved a basic service fee of $15, down from the requested $20, and they rejected the attempt to require a demand charge for all solar customers. The decision also upheld the principle of grandfathering existing solar customers, so they don’t find themselves impacted by a change in the regulatory landscape, and created a new paradigm for reimbursing distributed generation through a flexible credit system that would ramp down slowly as more distributed solar gets installed. That marked a sharp contrast with their neighbor to the northwest. Nevada, in a decision last December, tripled fixed charges for solar customers and slashed the rate of compensation for their excess energy, a move that essentially killed the rooftop solar industry in that state. The commission there also applied the change retroactively, affecting all the residents who invested in solar based on the more favorable rate of return that existed at the time. UniSource Energy Services (UES) is a relatively small utility, serving about 93,000 customers in northern and southern Arizona. It happened to have the first rate case come up in Arizona since net metering became a political hot-button issue, so stakeholders started paying very close attention. As UES describes it, the company just wants the rates customers pay to more closely match the expenses they incur. "Because of the way our rates and our net metering policies are designed, the manner in which we recover those costs is based on usage," said Joseph Barrios, a spokesperson for UES. "For a rooftop solar customer, when you look at their bill, because they have a rooftop system the rates they actually pay every month aren’t representative of the cost to provide service." For instance, if a household with rooftop solar uses a lot of electricity from the grid during the peaks in Arizona's toasty summer, that costs the utility a lot to provide. But at the end of the month, the meter may have run backward from selling surplus power to the grid such that the utility doesn't recoup much from that house. UES wanted to add a demand charge, which would make solar customers pay based on their peak power need in a given period of time. Naturally, the notion of selectively applying demand charges to the 2 percent or so of customers who have solar set alarm bells ringing in the halls of solar advocates. They rallied, and the commissioners listened. 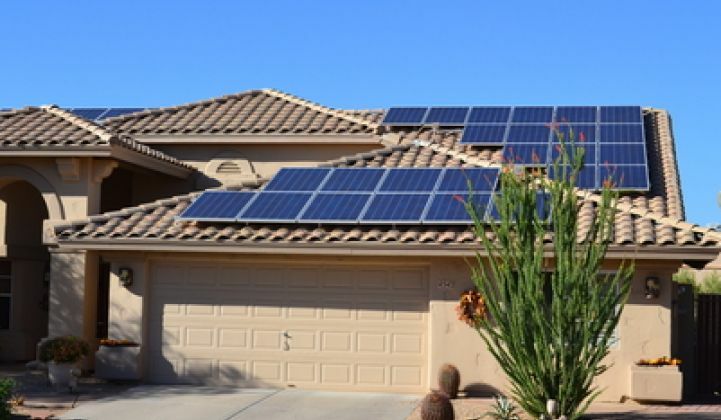 Net metering will remain the same in Arizona. The details could change down the road. The commission will hear a second phase of this proceeding after the conclusion of a separate docket on the value of solar, expected by October. That investigation is intended to provide solid data to use as the basis for future rate changes regarding solar. Not only did the proceeding's outcome avoid mandatory changes for solar customers, it created a new choice for them based on an idea from the state consumer advocate group, the Residential Utility Consumer Office (RUCO). The amendment, which Commissioner Bob Stump proposed, creates an RPS credit for solar exports, starting at $0.11 per kilowatt-hour for the first allotment, or tranche. New customers can choose to lock in a 20-year contract at the going credit rate, which will be deducted from their utility bill based on how much they generate each month. The credit decreases incrementally as each tranche fills up. "DG customers will not have to wait until the value-of-solar docket concludes -- they can have an optional rate now which can provide them a modicum of certainty and provides a degree of certainty to the solar industry," Stump said. "Under this scenario, solar can be built at the lowest cost to ratepayers, and that's been my mission ever since I was seated on the commission nearly eight years ago." The idea is to insulate solar customers from potential regulatory changes down the road, said Lon Huber, an energy policy consultant at Strategen Consulting, who drafted the plan on behalf of RUCO. "This is [very] different from NEM, where it's just a retail rate that can change over time," Huber said. "It's a contract for 20 years, meaning that the solar customer has certainty that they're going to have that form of compensation for that time period." The credit approach also gives the utility more flexibility in rewarding distributed resources in places where they offer most value. For instance, if UES wanted to expand rooftop solar in a particular area to avoid transmission upgrades, they could offer a higher credit there. Under NEM, a change to the rates would require a lengthy rate case before it could be approved. For the customer, there is a simplicity to the credit system. The resident picks from the available rate plans, just like any other electricity user. Then their solar output gets multiplied by their credit rate and subtracted from the bill. Unlike under NEM, Huber notes, this could actually allow solar generation to erase the entire bill. NEM debates have grown more divisive and political, often resulting in outcomes where at least one side loses, rather than both gaining something. Huber believes the RPS credit system creates a dynamic where everybody can win. "The utility gets full cost recovery under this mechanism, the solar folks get that long-term guarantee and better price signals, and ratepayers see the benefits of declining costs," Huber said. "It provides an outlet so you can short-circuit the NEM debate and say, 'Why don’t we try something new?'" Before anyone starts hailing the arrival of a post-NEM consensus, it's worth noting that the solar lobby isn't 100 percent on board with this proposal. Briana Kobor, the program director for DG regulatory policy at Vote Solar, said the credit proposal was "a promising option." "Vote Solar absolutely supports having additional options for solar customers," Kobor said. However, she noted, "We did not technically support this proposal, though it is a good alternative and our opposition is based on a very technical factor." Specifically, solar advocates are worried about how the delineation of the tranches will play out in practice. Once a tranche, set at about 100 people, fills up, the credit rate decreases for the next set of customers. Kobor said this could be a source of confusion for people, and it's something the utility will have to communicate clearly with ratepayers. Kobor said she looks forward to revisiting and optimizing the details in the second phase of the proceeding. 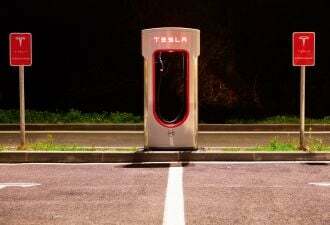 "The commission made clear that they do not intend to repeat what happened to Nevada and that they intend to fully grandfather customers as of the date in which they decide whatever the change may or may not be," Kobor said. That amendment by Tobin suggests another proposal for the future valuation of solar, which stakeholders will respond to next time. This model would create a "system benefit charge" equal to the retail rate multiplied by the number of kilowatt-hours exported by new net metering customers. This will be collected from all customers to reimburse the solar exporters; it essentially mimics the current NEM system. The difference is, if the value of distributed generation determined by the value-of-solar proceeding turns out to be less than the retail rate, the difference will be split evenly among four uses: new demand response and energy efficiency programs; energy storage devices to reduce peak system demand; reducing balance of fuel and purchased power costs; and paying for fixed cost recovery on behalf of the company's shareholders. The system would run for 10 years; after five years, the amount collected in excess of the value of DG would ramp down annually. Presumably after a decade, the grid will have matured and no longer need the additional funding stream for grid modernization. This proposal and the RPS credit option show a commission that is doing a lot more than weighing new rate increases. 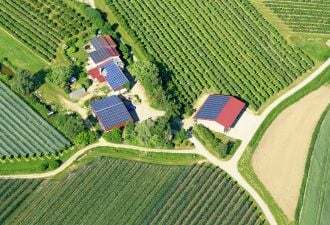 The commissioners are grappling with a new paradigm that encourages solar installation in a more targeted way than blanket reimbursements at the same rate everywhere. Tobin's proposal, for instance, solves the problem of non-solar customers subsidizing solar customers: if solar households would get more back than what they put into the grid, that surplus would go to the system instead. This is a much more precise system than the typical utility proposal for the same purpose: higher fixed fees on solar customers. The credit option buffers solar customers from future changes to rate structure. It gives them a value for solar based on its current penetration into the grid, and lets them keep it for 20 years. The credits for new customers will eventually drop below today's NEM rates, but that's more favorable to them than an eventual cut to the NEM rate itself. It also incentivizes early adoption to lock in the higher credit rates. Both of these options will be refined further at upcoming meetings, and their existence will change the playing field for upcoming rate cases with other utilities. 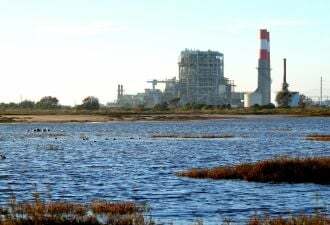 Each case gets decided on its own merits, but it seems safe to conclude the commissioners aren't interested in more of the same from utilities. The old playbook of hiking rates and adding fees on solar households won't impress anyone these days.